For the majority of the past five years giving online advice on how to make passive income using the internet, my main tip has always been to start an affiliate marketing business. Lately though, I have been experimenting with drop shipping, and even though I still think affiliate marketing is a great way to build a solid online business, I have to say that drop shipping is definitely another area worth exploring. Today I want to tell you about Shopify drop shipping. You may have heard of this “drop shipping stuff” before but what is Shopify drop shipping? But, before we do that, let me tell you (in straightforward terms as not to keep you here all day), what exactly is drop shipping in general. Drop shipping is the process of selling goods around the world, from the comfort of your home (or wherever you happen to be with your laptop) to anywhere in the world without ever having to buy, own or ship the products yourself. You keep the profit (and you get the set the profit margins). It may sound too good to be true, and you would be right; it is. 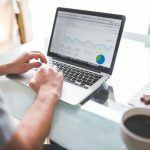 I had the same idea when I first heard about drop shipping many years ago and unfortunately for me (big mistake) I didn’t go into it earlier when there was much less competition than there is now. Fast forward to (or in fact; back in) October 2016, I came across a free ebook that was about dropshipping which peaked my interest and got me thinking about dropshipping again. The ebook, provided by drop shipping tool Oberlo explained the whole process from start to finish, and all of a sudden; I immediately got it. You know the feeling when something just clicks, and suddenly it all makes sense? That one. After reading that book, I immediately went over to Shopify, (and this is where Shopify drop shipping comes in), and I created my first ever drop shipping store. In a few minutes, I had an online store ready to receive payments and customers and a line of suppliers in Asia ready to take my orders and ship them to my customers. Done and dusted and yes; as easy as it sounds. No BS! What Is Shopify Drop Shipping? Shopify is an online store platform which you can use to build your own online store. For the major part of whoever wants to start a blog, I suggest WordPress as it is the best out there but you can think of Shopify as “the WordPress of online stores”. 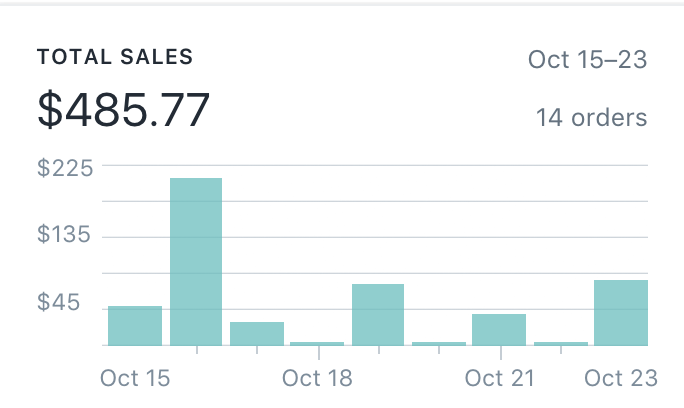 As I explained above, I created my Shopify store in minutes and was ready to go just hours after reading that magical ebook and here I am nearly a year later making profits and growing each month with my drop shipping business. As I said it took just one quick easy-to-read ebook for me to fully understand how Shopify drop shipping works so the safest way I can recommend for you to get started is for you to download and read carefully the “Getting Started Guide” by Oberlo. Oberlo is a tool that will automate 90%+ of your dropshipping business. As you can see from my Oberlo review, it’s a simply, nifty tool that lets you import products from AliExpress (see my guide on dropshipping with Ali Express). Once you find the products you want to promote (which we’ll talk about soon on how to do that), all you have to do is import them to your Shopify store, which brings me to my next point. Step #2: Get Your Own Shopify Store. Now I know this may be a bit intimidating to some, even more so if you are a complete newbie to the world of online business but do not worry, it’s as simple as creating your very own Facebook profile – and I am sure you have one of those right? Unfortunately, Shopify does require you to shell out some money, but it’s not a lot. You can see the full Shopify pricing here but on a monthly basis it will cost around $29 per month, and you also get your first two weeks to fully optimise and build your site with Oberlo products. Also note that with a Shopify plan, you also get Oberlo for free which usually costs $5 per month. Next up is you need to find a product you want to promote. 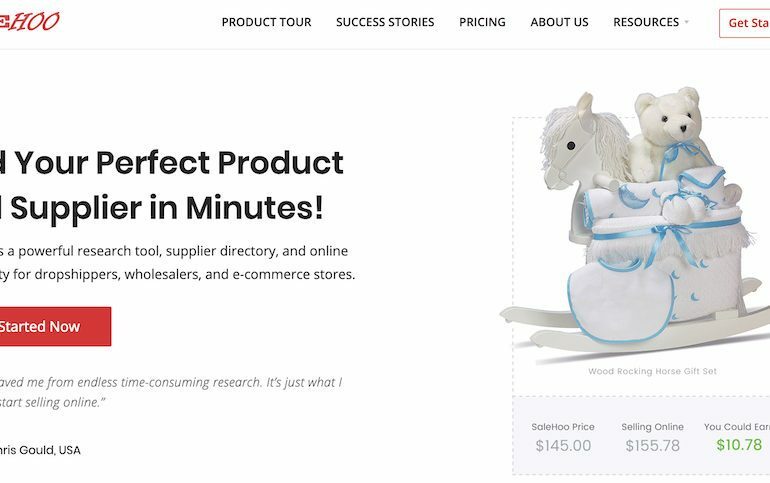 A single product will work as well, but ideally, if you want to build a long-lasting Shopify drop shipping business, you have a store filled with many different products (although they should all be in the same topic). A Shopify store focused around a niche can be a store where you sell different supplies and tools that divers would likely need. I prefer the second option, but I know many who have built high income with just a handful of products. What I would not advise you to do is to build a generic store that has a lot of products form a lot of different niches. Although it still may work, it gives you no brand to work with, and generic stores like tend to not convert so well. Can you imagine going to an online store to buy a waterproof watch yet they also sell women’s skin care products? I don’t think so. Again, it might just work, but it’s not recommend to do so. Once you have picked your products, (or better yet your niche), it’s time to start adding products to your newly launched store. Now, remember, as I said, you have two weeks (14 days) provided by Shopify for free so you can build your online store. Even though you can launch on that very same day (like I did), it is recommended that you go through these 14 days and carefully build your store to be perfect for launch. Again, not a rule, just a better way of doing things. How to import from Oberlo to Shopify? Once it is pushed to store, the product is live there ready on your store awaiting an eager audience available to be bought. Launching your store is as simple as choosing your domain and paying for a Shopify license to get your store online. Please note that while you are building your store, your Shopify store is not online and cannot be accessed be people. It’s only you, the admin, who can see it – to launch the store, you need to get a license. What Shopify license should you get? If you are in it for the long haul, then get the year as it comes out to a ridiculously low price, but if you are just testing the waters, which you should be, I say go for a license where you get charged on a month-to=month basis. If everything goes well, you would have made enough money in your first month to then pay for the whole year if you so wish. Congratulations, You now have A Shopify drop shipping business! That is all it takes to build a Shopify drop shipping business, but is there more to it? Of course there is. You need sales, you need customers, and you need money to start building your very own version of the passive-income life. This obviously requires work, and although I will give you some of the methods I use to get traffic and customers, please understand that it will require some time, money and probably even some mistakes till you find your feet and go into profit. You need a social media presence to run an e-commerce store, which is precisely what you have with a drop shipping store. This is also where having a branded store, rather than a generic store comes in handy as you can now fully launch as a brand with all the right logos and right colors. Bonus Tip: To create any type of logo or graphic design, get the free Canva tool which I use across all my business. Social media will allow you to reach people and hopefully get those first trickle of visitors (and maybe even some sales) coming through. As with everything, do not expect to have hundreds of customers coming in from day one. It’s a step by step procedure but I promise you if you follow good social media practices and you give it enough time and effort, you will have a great social presence to drive sales into your store. Organic traffic, or as it is commonly known “SEO” is a great way to build traffic and although it is free, it a slow process to master and get traffic from. You should never neglect your SEO because as I said, it is free traffic but again; do not expect any page #1 rankings and thousands of visitors to start coming in. There are some great guides on how to SEO a Shopify store so look into that. SEO-ing a dropshipping store is a bit tricky since a store generally has a lot of products. Again, I’d like to stress how important SEO is not only for a drop shipping business, but any online business in general so be sure to do it – and do it well. Last but not least is the paid traffic way, which is, in my opinion, the best way to generate traffic to your Shopify drop shipping store, but yes; it would cost some money. When it comes to Shopify, although Adwords is still a viable option, start off with Facebook and Facebook only (this also includes Instagram). With the right offers and with the right ad, you can hit some pretty life-changing numbers – it all comes down to testing and having patience with it. Again, this is way too vast of a subject to disc right here with you, but the way I leaden how to use Facebook Ads for my Shopify store is buy following the advice of a guy named Franklin Hatchet. So, that’s the end of it all. 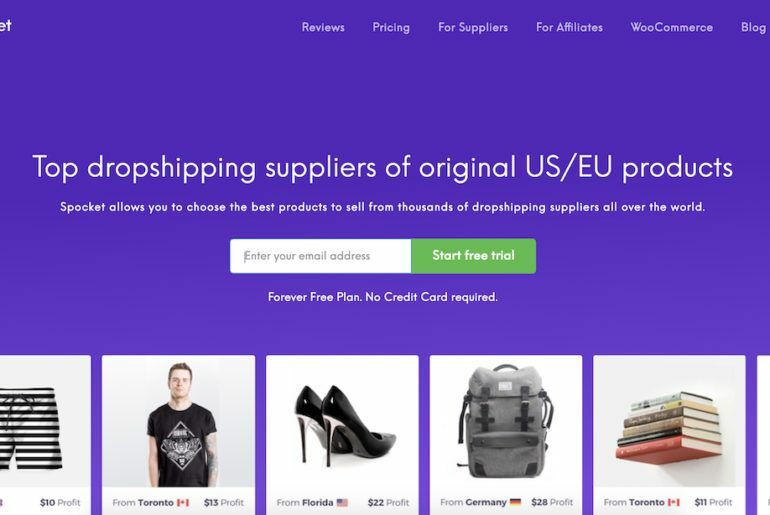 I hope this post has helped answer what is Shopify drop shipping and I hope this little post of mine has given you some clear and actionable to-dos for you to go out there and build yourself a booming drop shipping business. To follow my journey into drop shipping and to see how I overcome the many challenges I face in my quest to build a six-figure online business, be sure to subscribe to my email newsletter. I will be sharing all my tips and blog posts on there, and you also get a gift from me every once in a while. 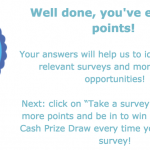 Opinion Outpost Review: Can You Really Make An Income With Surveys? Like you I looked at drop shipping about a year ago and decided it sounded too good to be true. However, having read your post – which by the way is very informative – you have piqued my curiosity about it again. Will definitely look further into the eBook you mentioned as I really want a way to generate income without being held to ransom by an employer! This is REALLY great information! I have been wanting to do drop shipping, but trying to find products and companies has been my biggest issue. Most require you to purchase large amounts of items, with upfront capital that honestly I don’t have. From what I read, I don’t have to buy the products up front? I am basically picking products to sell, and then getting a commission when they do sell? No you don’t have to buy the product. That is what’s great about it. 🙂 All you need to do is buy the item from AliExpress (through the Obero app) and you’re good to go. Hope this helps and let me know if I can help in any way. I am honestly glad I read your page here. I have been wondering about “Drop Shipping” and Shopify for some time now, but never really wanted to dig into it. After reading what you have here, I understand that all you need to do is build a niche website through Shopify, that sells products, and have an Asian country ship them out for you. That sounds super simple but..
How does Shopify Drop Shipping compare to just flat out Affiliate Marketing, it almost seems like there is an extra step for Drop Shipping, where Affiliate Marketing with a Niche Website all you need to do is get them to the seller you are affiliating for. I suppose, commission is the biggest part? There’s actually a less step to dropshipping because once the customers lands on your page, he can make the purchase right there on your website. With affiliate marketing, you have to add another step and send them somewhere else. Also, with dropshipping, you get to set your own profit margins (which affiliate marketing can’t do). Please do not think I am throwing shade at affiliate marketing, my income is still mainly affiliate marketing and it’s where i spend most of my time, but Shopify and dropshipping are pretty exciting. Fantastic indepth article. I’m a complete beginner to drop shipping and have not pulled the trigger to open an account with Shopify. 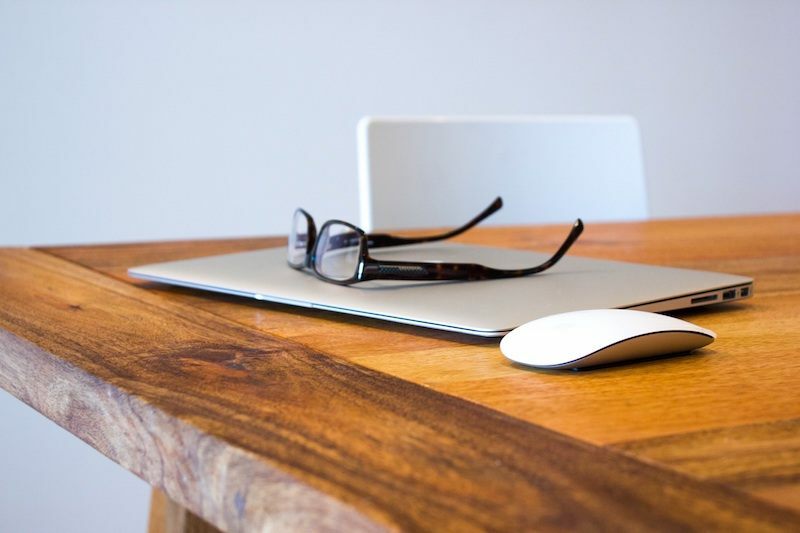 Is the product descriptions linked to your supplier? Can you set things up in a way that automatically tells people when a product you are selling is sold out or do you have to manually label items as sold out to avoid people buying products that are unavailable? Yes product descriptions are pulled from the product description on AliExpress but you can change and modify them as you see fit. For your other question, yes you can also set the product to appear as sold out once the supplier runs out of products from AliExpress. All is done automatically so you don’t even have to worry about that. Hope this helps Mark. Let me know if you have any more Qs. Many thanks for this interesting and informative post on dropshipping. This article peaked my interest because I dabbled with dropshipping of a different type some time ago, but unfortunately, it was without little success. It was between eBay and Amazon and it was straightforward enough, basically it was a copy and paste process. However I have read some info. recently on Shopify and watched some YouTube videos on this process and I was very interested in looking at this online business. What put me off wa,s doing business with a company in China, having a store full of goods and the fear of being left with the goods eventually. I have bookmarked this post for future reference. As for shipping products from China, I never had an issue. Sure there is the odd package that never arrives but I only had that happen to me twice over the course of the year so its not really a biggie. Now is the time to get into dropshipping as FB ads are relatively still cheap to master and use – it won’t stay the same the more time goes by. If you can find a good niche, learn the basics to dropshipping and FB ads, I am sure you will be able to build something magnificent. If you choose the “e-packet_ shipping option, for the UK it would take around 14 to 20 days for your package to arrive. And drop shipping doesn’t work through commissions, but rather; you set your profit margins! Chris nice post! I downloaded the Oberlo ebook a few months ago and agree that drop shipping is not difficult to set up. I really like the way you explained how you got started, it making me get excited about finally giving drop shipping a chance. How many of an advertising budget should I consider on facebook? $5v a day is the most you should spend. Keep that running and once you get the hang of it and have enough data (and sales) keep increasing the daily budget slowly. This has been the best information I’ve found in one place! I must ask: am I required to get a business license or DBA to begin dropshipping? I’ll be using Oberlo and Shopify. I’ve seen varying opinions on this. Ideally yes but certain countries have a threshold you have to cross before you are liable for taxes. You would have to do research of what the country allows. Very interesting article on drop shipping! I’ve never thought about doing it, but after reading your article, I might give it a shot. I’d like to maximize my potential income and I hate to leave money on the table. About a year ago, I started a drop shipping business. It was based on Amazon and eBay stores with a number of drop shipping friendly suppliers. I paid to advertise on Facebook. The biggest problem was that on Amazon you have to get sales in order to get your product into the “Buy Box”. In order to get sales, you pretty much have to be in the “Buy Box”! Catch 22. I looked at Shopify and Oberlo but was already pumping money into a losing proposition, so turned to Affiliate Marketing instead. Your article “What Is Shopify Drop Shipping?” explained my mistakes. So, I’ll probably get back into drop shipping using Shopify and Oberlo, this time with my own website. Hey there Ed. My best suggestion would be to start with Shopify and Oberlo first. Once you have an audience and want to do Amazon (with an audience ready to buy), then look into Amazon FBA! Drop shipping this way is the easy way to go at first though. I loved the idea of dropshipping and actually started a shop before affiliate marketing. I found shopify to be a great and easy to use platform but what I struggled with was marketing the shop. Which of the avenues have you used for your store and which ones would you recommend? I personally found the running cost to be too great to go the slower SEO traffic route. Maybe when I have a bit of an advertising budget I can venture into this space again. I have heard of shopify drop-shipping before but never really paid to much attention because I thought it would be to hard but reading your web page it breaks it down and explains how it works and how I can get one for myself. Does the e book really benefit when it comes to shopify? Yes the ebook shows all the steps from start to finish 🙂 It’s a quick read and you will understand all you need to know to get started. I have also been very interested in drop shipping but had very little knowledge of it. But now you have explained it, things have started to make sense. The only thing that got me a bit confused was the concept. It looks similar to affiliate marketing. Can you please tell me the main differences between the two? The main difference would be that you get to set your own profit margin and not just make a commission. Want to sell a $10 tee shirt for $39.99? You can do that with dropshipping! Very good article that goes very deep in explaining what dropshipping is and how we can use it to make big profits. I knew about Shopify but not about the other tool you use named Oberlo. How do you use it to automate the dropshipping process? Is it a free or paid tool? Anyway, the beauty of dropshipping is that you can set your own prices, and earn much more than with affiliate marketing! Oberlo is free when you have a Shopify account – otherwise it’s $5 per month. On the free version (you get with Shopify) you are limited to 50 orders a month, that is more than enough to get started with – however, once it gets bigger – you might need to go on a higher plan. Thanks for your post on this. I’ve never heard of Shopify dropshipping so thanks for sharing. I’m currently doing the affiliate marketing side and still learning on that front so would consider picking this up after that. In your experience, have you generated enough traffic using the slow free way or have to had to shell out cash in order to get people onto your site? I had to do some paid ads but after a few weeks you will find an ad that works and that makes profit and from there on, you just keep scaling upwards. Drop shipping really sounds to be good to be true, but nevertheless, I went ahead and open my free Oberlo account and follow your guidelines. Your six-step process for owning a business online with drop shipping is broken down in a very simplistic form, so I will be going through the other steps to get my business up and running. Thank you for taking the time to explain this business, and also for writing such a detail, Oberlo Review.This page is a definite Bookmark. Glad to hear Bishop. Get in touch with me on WA if you need any help setting it all up.